Mary Evelyn (M.E.) 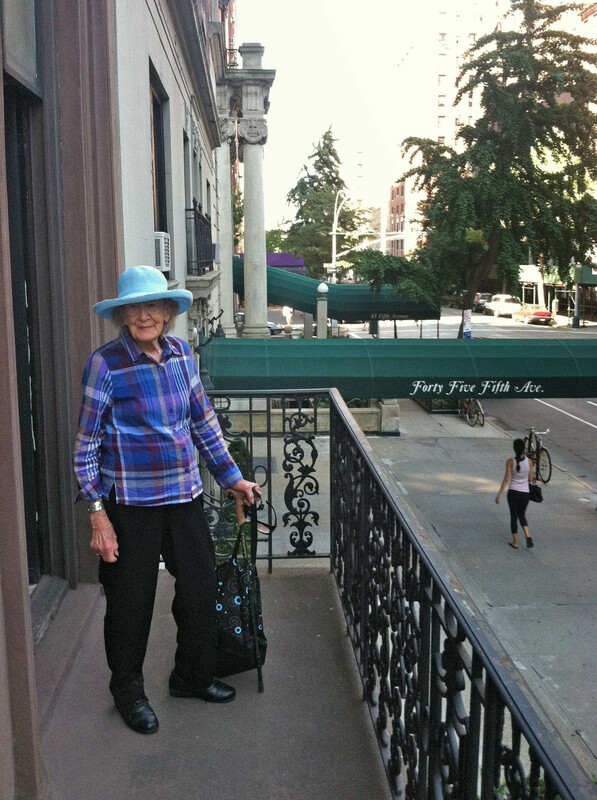 Whitehill in July, 2011 (at age 91) on the parlor balcony of SCNY during one of her last plein air excursions to New York City to participate in a musical paint-out in Washington Square Park. In the 1960’s she took advantage of New York State’s Title II program to receive her masters in Library Science from SUNY Albany. She then worked at The Newburgh Free Library and the West Street School Branch. Upon her retirement in 1985, M.E. began her art career in earnest. A prolific painter, her art has preserved forever much of the beauty of the Hudson River Valley. 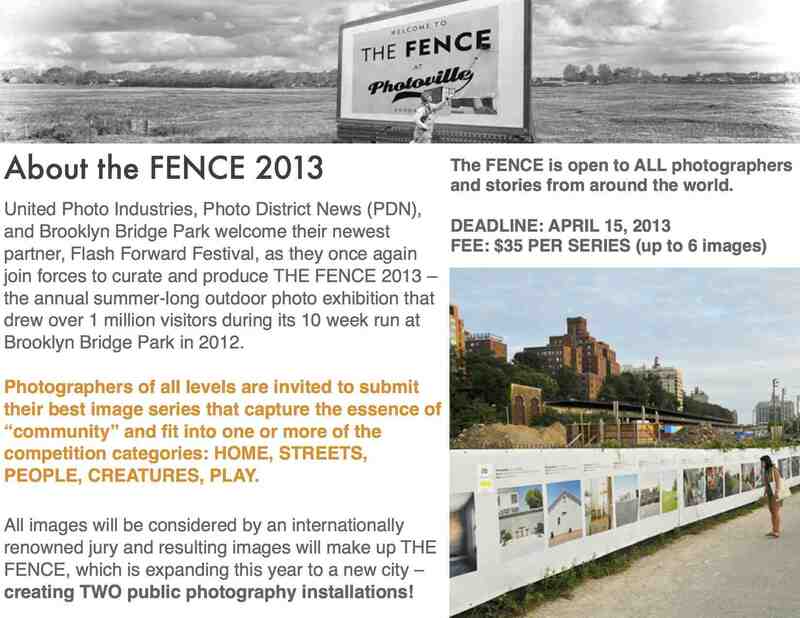 “When I first started to paint they were tearing down Newburgh and everything was disappearing. I really wanted to record some of the buildings.” Many of her images are found today on greeting cards she started as a donation project. She truly enjoyed depicting florals and landscapes. She loved painting outdoors, believing the world needs its nature and the world needs its art. At 89 Mary Evelyn realized her dream of opening her own gallery, combining her marketing and business skills with her love of art. On her 90th birthday she arranged a celebration and benefit to help preserve Bannerman Castle, a scene she had painted many times. Her art will continue to inspire and share the joy Mary Evelyn had in creating her paintings. Mary Evelyn Whitehill is survived by her sons Walter Whitehill of Newburgh, Brian T. Whitehill and his husband David Domedion of NYC, daughter Joan Roth of Katonah, NY. Saturday afternoon, March 3 2012, the Club hosted a full house in the Upper Gallery. The draw – a presentation by club president Claudia Seymour. 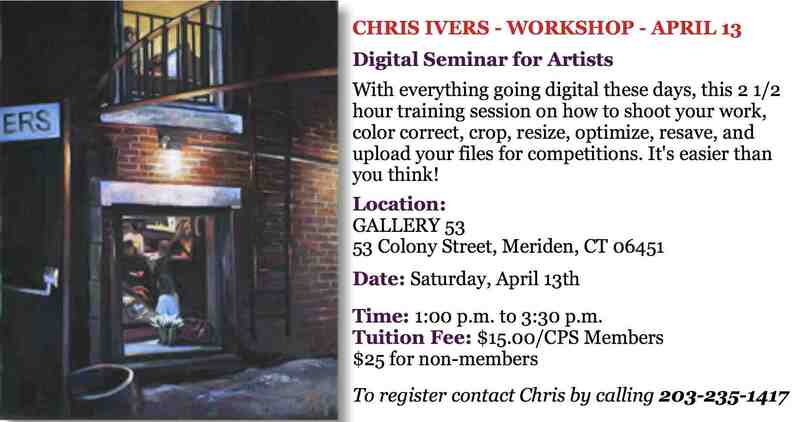 Topic: “Almost Everything You Ever Wanted to Know About Pastels.” It was a great talk on the materials and techniques, tip and tricks for a successful painting. Claudia generously shared with her audience her experiences and preferences for creating a great work of art. 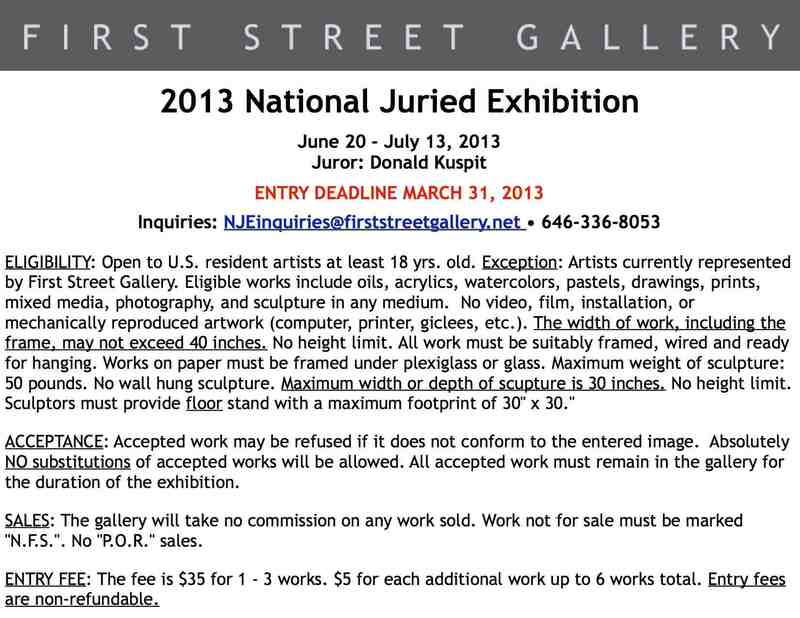 The event was sponsored by the Coast Guard Art Program (COGAP) Committee of Salmagundi Club. 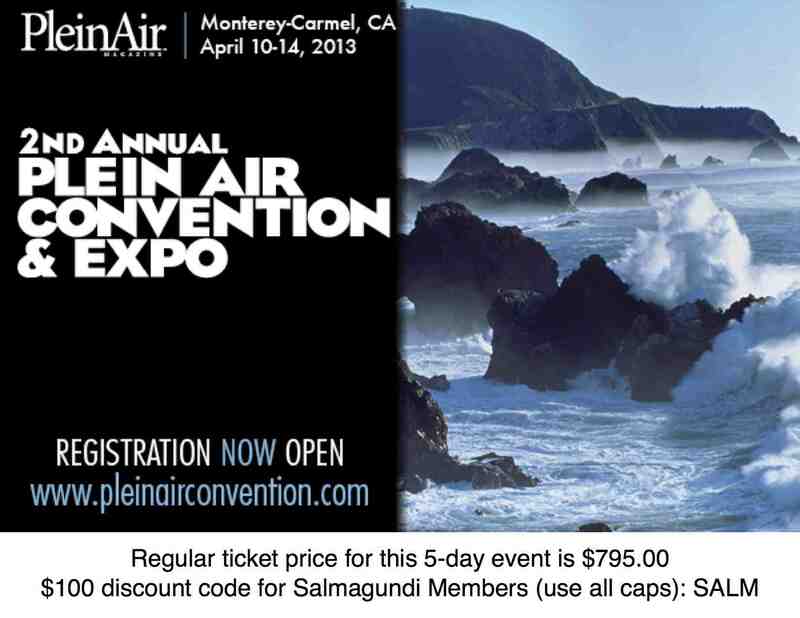 Organized by the publishers of Plein Air Magazine and Fine Art Connoisseur, the second annual Plein Air Convention & Expo is scheduled for April 10-14, 2013 in Carmel, California. A $100 discount off the regular price of $795 is available to Salmagundi members by using the special code SALM when registering. Plein Air Magazine and it’s sister publication Fine Art Connoisseur have been very generous in their editorial coverage of the Salmagundi Club. If you are planning to attend this convention, please be sure to use our discount code, SALM, when registering so they know you saw it in The Salmagundian.